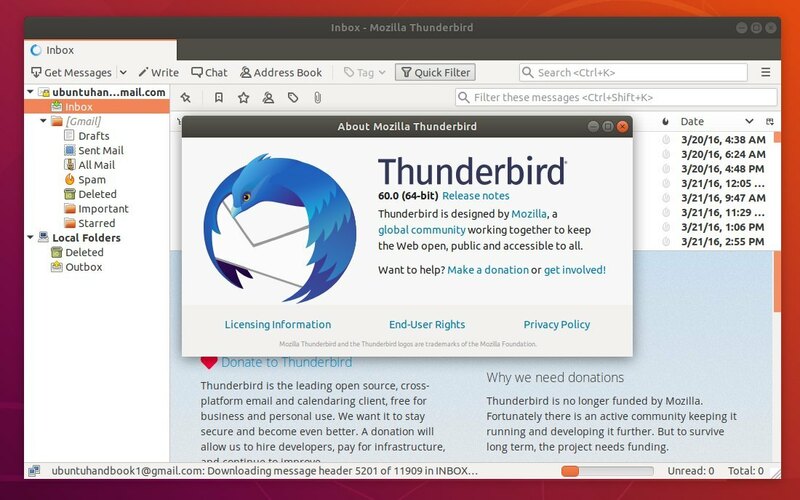 Thunderbird email client 60 stable is finally available via Mozilla Team Stable PPA for Ubuntu 18.04, Ubuntu 16.04, Ubuntu 14.04, Ubuntu 18.10, and their derivatives. Open terminal either via Ctrl+Alt+T keyboard shortcut or by searching for ‘terminal’ from software launcher. When it opens, do following steps to add the Mozilla Team PPA and install Thunderbird 60. 2. 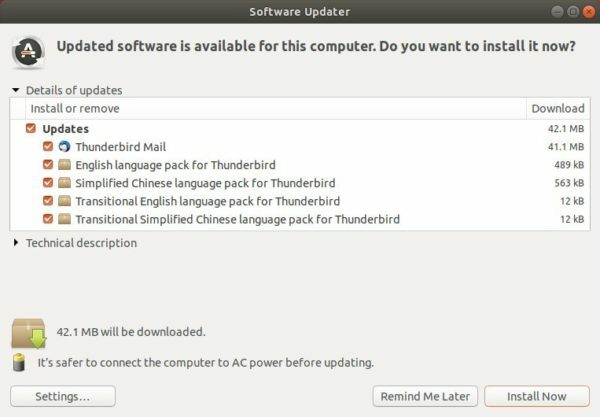 Then launch Software Updater and you’ll see the software updates after checking for update. TB 60 crashed on my Kubuntu 18.04 installation. So it doesn’t seem to be production ready yet.